Today at HIMSS18, Validic announced Impact, a cloud-based platform to enable remote monitoring capabilities for a device-agnostic, disease-agnostic approach to chronic disease management and post-acute care. Built on Validic’s core data connectivity platform (Inform), Validic Impact provides continuous access to personal health data from over 350 in-home medical devices and wearables — with a comprehensive toolset to elevate critical data, enroll program members, and manage device connections. With access to enhanced workflow tools and dashboards needed to make personal health data actionable, Impact simplifies the enrollment process, data analysis, and general administration of your health and wellness programs. As a lightweight remote monitoring platform built for scale and customization, Impact helps care teams make continuous data, from hundreds of in-home medical devices and wearables, actionable within the workflows and electronic health record (EHR). For Providers and Payors, Validic Impact leverages and augments the functionality of embedded clinical systems and care management solutions. Moreover, Impact is componentized, which enables multiple disease-specific programs to be created and run concurrently — regardless of the condition or size of the population being managed. Diabetes, Hypertension, COPD, and so on, Impact can manage across conditions from a single platform and with a single implementation. This prevents the need for numerous, time-consuming IT investments or vendor relationships to manage remote monitoring for each condition. Impact is customizable at the health system, population, and patient level to enable the most personalized care possible. 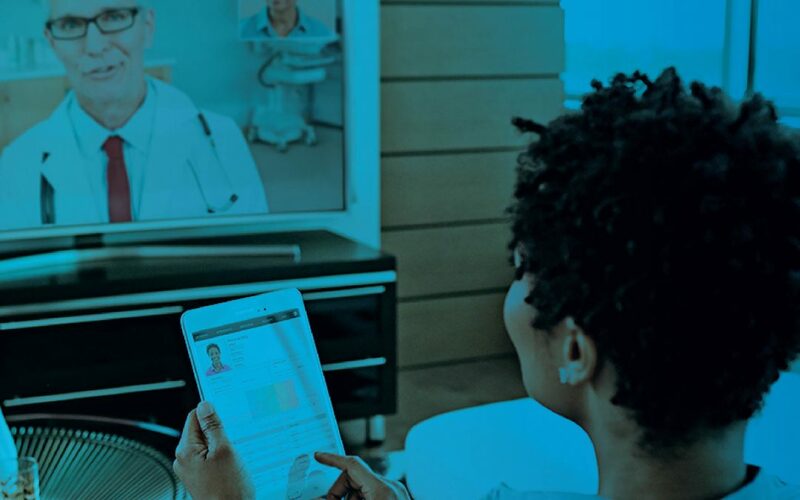 The Impact platform was built to help clinicians better manage a large cohort of patients and reduce the process inefficiencies of remote care. By passively collecting and elevating critical patient data while automating previously manual, time-intensive tasks, the platform empowers care team to better prioritize patients and spend their time with those most at-risk for negative health events — allowing for more timely, precise treatment interventions. Perhaps most importantly for Providers and Payors, Impact leverages the investment systems have already made in their EHR and augments the functionality of existing workflows and current care management systems. By residing within existing workflows, Impact enables seamless integration of patient-generated health data (PGHD) into EHRs, messaging services, and remote care programs. The platform offers user-friendly patient enrollment and onboarding flows, dashboards, and support tools to enable ease of use for both care teams and patients. Impact’s rules and triggers allow clinicians to decide what data values are critical and how to be notified when a critical reading occurs. With a higher prevalence of chronic conditions than ever before, compounded by a growing physician shortage and significant clinician burnout, health systems are increasingly seeking new methods of care delivery which can improve the quality of life for their patients while also limiting physician burden and increased costs. The launch of Impact is a response to ease the clinician burdens caused by changing care delivery models that demand flexibility, standardization, and personalization to deliver meaningful care. Value-based care payments, bundled payments, and quality incentives developed through MACRA and MIPS, among other new economic models, are providing new incentives to drive improved health outcomes, moving us away from the episodic model in place today. This transition away from fee-for-service models, compounded by the increase in the prevalence of chronic conditions, is raising interest in remote care delivery that can provide ongoing care management to at-risk populations. By shifting from an episodic view of healthcare to a continuous, one-to-many model, providers are able to provide care to at-risk patients at a lower cost. Providers can intervene before an adverse event occurs, in order to improve health without investing significant time or costly in-patient care. To learn more about improving remote care within your existing clinical systems, read more here or contact us to start a conversation.